Whitney and Anayah have been matched since September 2012. 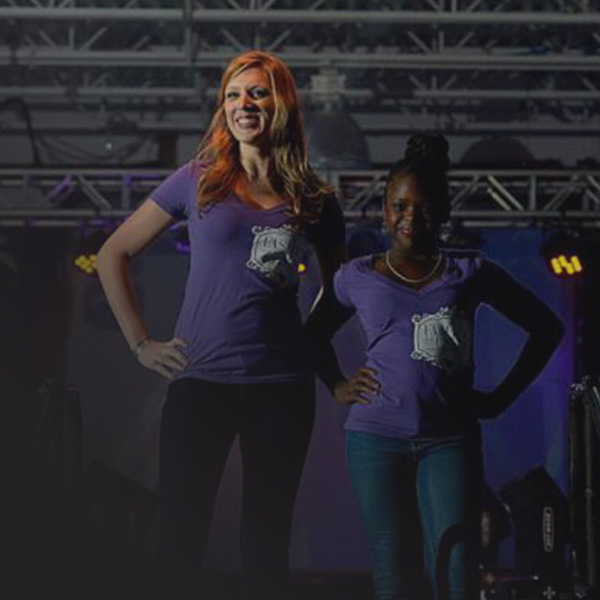 The duo recently had the honor of being one of five matches to walk the runway in BBBS SEPA’s annual Fashion for a Cause event! Anayah, a 5th grade at Imani Charter School in Philadelphia, loves math and is a member of her school’s National Honor Society. Together, this Big and Little like to bowl, go to the zoo and the movies, and explore Philadelphia. They also both love to eat, and can often found cooking together or going to the Olive Garden. Whitney describes Little Sister Anayah as sweet, smart, and always smiling. They talk about everything: school, homework, friends, family, hobbies and passions, and their plans for the future. In the fall of 2014, the match celebrated their two year match anniversary and Whitney said that they met, her Little Sister transformed from a little girl to a young woman whom she now considers one of her best friends. Anayah’s mom says Big Sister Whitney has had a huge impact on her daughter’s social life and self-esteem. Little Sister Anayah was once nervous to meet people, but has made great strides. The best part? The relationship is mutually beneficial: Whitney says that she loves getting Anayah’s advice and perspective on things because she sees the world in the most positive way and helps her remain optimistic.